SkyCiv has been working hard to improve our Structural Analysis and Design Software adding updates and features to our platform. One of these relates to our comitment to open, transparent and professional reporting for our users. No more guessing what the software is doing, review the assumptions, intermediate results and final design criteria which are all clearly recorded and displayed so that you have full transparency in what you're designing. 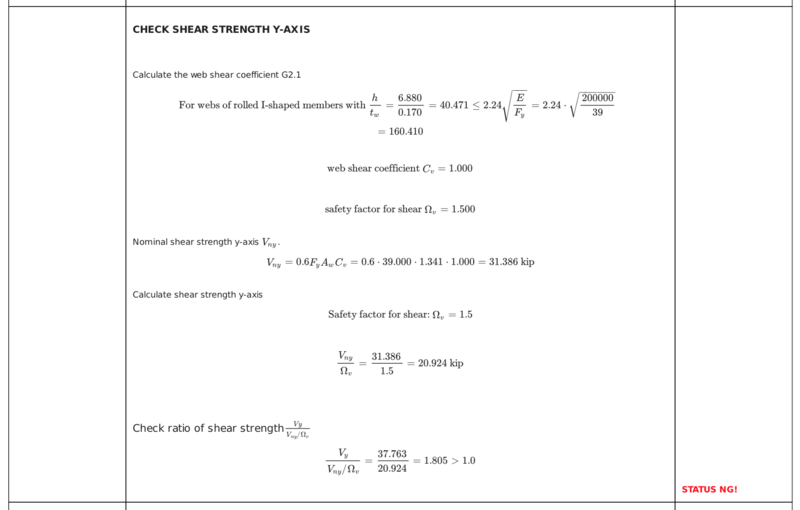 Recently, SkyCiv Design was updated to include detailed step by step calculations in their design reports for AISC 360. Prior to this, design was limited to a table summary which showed the pass/fail criteria of each member. With detailed reports, users can now see an in-depth review of the computations, assumptions and steps used by the software - so you know exactly where the results come from! Note that while the update that we are elaborating is from SkyCiv Design, this is also integrated with the other SkyCiv modules, such as SkyCiv Beam and Structural 3D.